Lilith began teaching yoga in 1999 after completing a teacher-training program at the Iyengar Yoga Institute of San Francisco. She was invited by Carnegie Mellon University in 2001 to pursue an MFA in Fine Arts. A Buddhist priest in Japan whom she had studied with wrote in her letter of recommendation that she would be “the bridge between the east and west.” One manifestation of this idea was in 2006, when she opened her first clinic as a Yoga Therapist, Pratique Therapeutic Yoga. After working with more than 800 individuals, she closed the clinic in 2012 and began traveling the world promoting Yoga Is My Health Insurance (YIMHI), a holistic approach to living built upon the core principles of yoga with the goal of supporting individuals to improve health and wellness. Now living stateside again, she continues the work to educate people in the art and science of creating a healthy lifestyle. She sees leadership as a performing art that recognizes community and self as interconnected in the evolution of optimal health. Susan Bass is the Founder of The Sarasvati Institute of Ayurvedic Yoga Therapy in Portland, OR. Susan is a C-IAYT, NAMA Ayurvedic Practitioner, NAMA Ayurvedic Yoga Therapist, and E-RYT 500. Her teaching style focuses heavily on the corner stones of Ayurveda, Digestion and Detoxification. Lara Benusis is a pioneer in translating yoga into hospital environments. She was the first full time yoga instructor at Memorial Sloan Kettering Cancer Center where she further developed their in-hospital/out-patient adult, pediatric, caregiver and employee wellness program offerings. She is featured in MSKCC’s online yoga training program, Yoga For the Cancer Patient and has authored several yoga research interventions for their breast, ovarian and pulmonary medicine teams. She recently completed her second Masters degree in Applied Physiology at Columbia University and is currently moving towards a PhD, studying under Dr. Carol Garber. She has been a certified yoga instructor since 1996, has taught over 20,000 hours, has lead 40 advanced teacher training programs in Europe and Asia and currently serves on the International Board of Advisors for Lohas International Inc./Studio Yoggy, the largest wellness company in Japan. Introduced to yoga in 2000 while completing her Masters in the Counseling and Depth Psychology program at Pacific Graduate Institute, Becky became interested in the connection between yoga and mental health. In 2004 she began studying in the tradition of T. Krishnamacharya, and in 2012 received her certification in this tradition as a yoga therapist. Becky has been a contract yoga teacher for 4 years working with veterans diagnosed with PTSD. She has had a private therapy practice since 2008, specializing in working with those with depression, anxiety, obesity, loss and grief as well as exploring spirituality. She holds a license from the State of Louisiana as a professional counselor (LPC), and also is a certified yoga therapist with IAYT (C-IAYT). Mindy Eisenberg, MHSA, ERYT-500, C-IAYT, Qualified MBSR Teacher, is the founder and director of the non profit 501 (c) (3), Yoga Moves MS, which is dedicated to improving the lives of individuals with multiple sclerosis (MS) by providing adaptive yoga in small group classes. She is the author of Adaptive Yoga Moves Any Body, created for individuals with MS and neuromuscular conditions and has produced videos to accompany her book. As a student of yoga and meditation for over twenty-three years, she has provided yoga therapy to individuals with Multiple Sclerosis, and neuromuscular conditions in southeastern Michigan for over 12 years. She presents her approach to adaptive yoga to national audiences in the Multiple Sclerosis and accessible yoga community. As a perpetual student, she seeks to learn from the best yoga and meditation instructors and programs in the country including her studies at the Center for Mindfulness at the University of Massachusetts Department of Medicine. Her seven years as a hospital administrator at the University of Michigan contributes to her ability to bring the Yoga Moves philosophy of healing and the importance of the mind body relationship to the health care arena. Mindy has a Bachelor of Science from Northwestern University and a Master in Health Services Administration from University of Michigan. Dr Staffan Elgelid is an Associate Professor of Physical Therapy at nazareth College in Rochester NY. Staffan is a Certified Feldenkrais Practitioner and Yoga Therapist. His Yoga approach is influenced by his Feldenkrais training. His main focus with clients is to help them build a nervous system that is robust and agile enough to allow them to learn new activities, enhance present activities, and to withstand the stresses of daily life no matter their age or situation. Staffan teaches in Yoga Therapy programs, conducts workshops nationally and internationally and sees private clients. Staffan is the co-author of "Yoga for Stress and Anxiety", as well as the forthcoming (spring 2017) "Yoga Therapy: A Personalized Approach For Your Active Lifestyle." Staffan has also produced DVD's on topics such as core training and Yoga for sports. Staffan is on the Advisory Board of the IAYT and a board member of the Yoga Alliance. Guy Gabriel is a certified Yoga Therapist (C-IAYT) after recently graduating from LMU in Yoga Therapy Rx under Larry Payne. He also holds a certificate from LMU in Yoga and Ecology and is a longtime environmental activist. He is also a graduate of The California College of Ayurveda and Vedic Institute in Ayurvedic Health Sciences. He has presented at both NAMA and YA conferences in the past. He has been active teaching Corporate Yoga (Amgen, Disney, Nestle, Universal Studios, Paramount, Dreamworks) classes for over 15 years in Corporate Fitness and Yoga Studios, as well as Meditation and leading corporate yoga retreats. He is also a contributing writer for LA Yoga magazine writing articles on both Yoga and Ayurveda. Guy is also an accomplished musician who has played guitar at many of the yoga conferences (NAMA, IAYT, YA) as a main performer and accompaniment in yoga workshops. He continues to study with many notable teachers in both the Yoga and Ayurvedic fields and believes education never stops as one must continue to expand ones knowledge to better serve students and clients both. Guy enjoys teaching students how to use the other tools of ayurveda and yoga therapy in their personal lives as well such as simple pranayamas, mantras, mudras, meditation, and dinacharya (ayurvedic hygienic practices) to further increase their health results and knowledge. Rich has been in the ‘business of yoga’ for more than 2 decades. As the CEO of Yoga Yoga, one of the largest, most successful groups of yoga studios in the US, Rich has been actively involved in building the profession of yoga therapy, so that yoga therapists can serve, heal and prosper. With experience in business enterprises that span the range of health supportive offerings, with an emphasis on integrating yoga into the healthcare world, Rich is personally committed to each practitioner’s success. Rich has worked around the business of yoga for more than 20 years, earned a Masters in Public Health, and actively works to expand the opportunities for yoga therapists. Jean Grant-Sutton, C-IAYT, Certified Yoga Therapist, is a teacher and educator of yoga. Her 30+ years of experience encompass travel and study in India, many years of practice with Kate Pelly (Iyengar), Ian Rawlinson (Desikachar) and the past 20 years with Joseph Le Page (Integrative Yoga Therapy). Jean’s teaching encompasses her extensive experience as a bodyworker which brings forward her deep understanding and love of form, alignment, and anatomy. As owner and operator of BodyWorks-Integrative Yoga and Stress Management Center in Petaluma, California for 10 years she created the 200-hour Affiliate Integrative Yoga Teacher Program which continues to be a premier program in the Northern California Area. Currently, She is Program Coordinator at P.O.S.T.-Wellness by Design. Her presentation style transmits the great joy, understanding and well-being that yoga provides for our body, mind and spirit. Katey is a licensed Physical Therapist, certified Yoga Therapist, and has advanced training in Thai Yoga Massage. She is the founder and owner of Posabilities - Physical Therapy, Yoga, and Wellness, and the Tula Institute of Yoga RYS in Norway, Maine. After 20 years of practicing Physical Therapy in a variety of settings she feels that she really hit her stride when she began integrating yoga therapy and physical therapy. Since then she has been dedicated to exploring the benefits of hatha yoga, thai yoga, and allopathic medicine, and how each can complement the other. Using her in depth experience, and her advanced training in yoga therapy, yin yoga, and thai yoga massage she has developed a unique approach to opening the energetic lines of the physical and subtle body - Sen Yoga. Manju Joshi, M.A. (Sanskrit and Yoga, minor in Psychology)Gold medalist, C-IAYT, E RYT-500, Holistic Health Coach, MCO-OSTEO, is a scholar and a researcher who has brought Yoga into Continuing Education Programs in universities, public schools, and health & fitness centers since 1991. Prashant Joshi M.A., M.Phil, E RYT-500, C-IAYT is a computer scientist and an electrical engineer and has been an IT Industry management leader for the past 25+ years. He has introduced Yoga-principles in the academic and corporate world at all levels of management. He has brought Yoga to the tennis courts, executive boardrooms, mental health facilities and senior centers. He is an invited motivational speaker and an avid tennis player. Both Prashant and Manju Joshi have been ardent students of Yoga since 1984 and have formal Yoga training from various renowned institutions (Vivekananda Kendra, Kaivalyadham) and teachers(Dr. Rao, Ph.D. founder of Lotus wellness center; Padmashree Sadashiv Nimbalkar-ji, founder of Yoga Vidya Niketan) in India and the US. Both have committed their time with various community service activities including sharing the science of Yoga since 1991 in the US and internationally through speaking engagements, writings, workshops, passionate & compassionate teachings and 1:1 consultations. Grace Jull, MA, LMT, has led transformational workshops since 1984 and delights in illuminating our potential as a collaborative field of consciousness. Jull trained over 3000 yoga and massage therapy students and tailors mind-body curriculums for programs including Harvard Rehabilitation Medicine Residency, Cirque de Soleil's Inuit Intervention, Saybrook University's doctorate program, Phoenix Rising and Kripalu. Her passion for embryology, osteopathic principles, aquatic bodywork, yoga and massage has evolved into an approach called “GracesAnatomy” which explores where contemporary individual and societal psyche and structure meet. Jull’s modular blended college level online anatomy course for health professionals shares this integrative regional approach to anatomy based on the chakras corresponding to the gross anatomy of visceral cavities. She has a passion for cross cultural enrichment, co-founding Shakti-Initiation, a women’s yoga leadership 300hr in rural Bali or the Inuit Yoga DVD project. Jull's poetic and passionate integration of science and soul is contagious, and she can be reached at www.gracesanatomy.com. Rose began practicing yoga in 1994 and teaching since 2004. She is the Director of the LifeForce Yoga Healing Institute and runs the LifeForce Yoga Practitioner Trainings, including online programs. Through LifeForce Yoga, she overcame a severe anxiety disorder and seeks to provide others with the same tools for freedom that she has experienced. She focuses on the therapeutic aspects of yoga – for the body, mind and soul. Rose teaches classes and workshops throughout the Tucson area and internationally with the LifeForce Yoga Practitioner Training Program. She integrates LifeForce Yoga techniques into therapeutic yoga for back pain, cancer, pulmonary disease, structural wellness, and yoga therapy. She studies with Rama Jyoti Vernon and has taken the Functional Yoga Therapy Training with Maria Mendola. 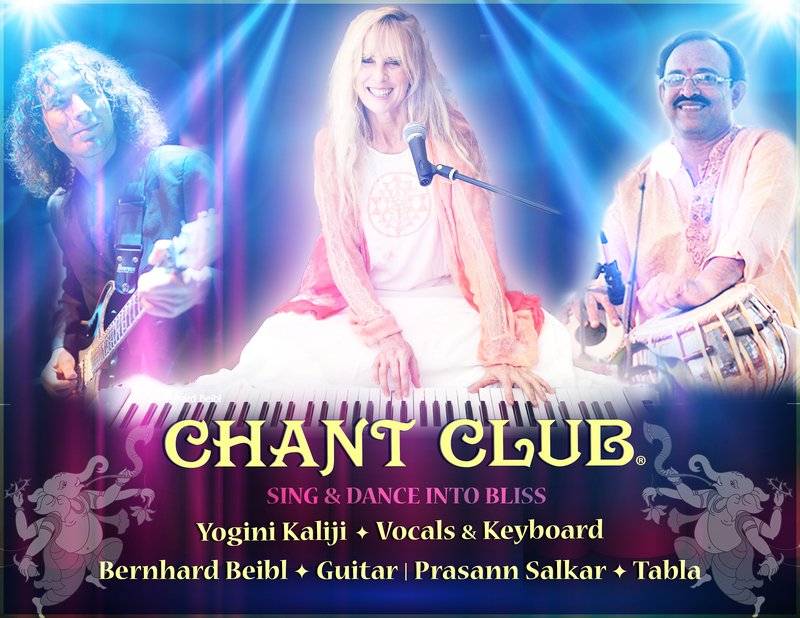 Rose is also the author of 2 CDs, Mantra Chanting with Rose and Pathways to Relaxation. Chrys is an integrative physical therapist who established FitYogaTherapy in 2007, dedicated to the treatment of clients with musculoskeletal and neurological disorders through integrative PT and the education of practitioners in yoga therapy and pediatric physical therapy. She has developed and taught courses in evidenced based treatment techniques in therapeutic yoga applications for children and adults throughout the US and online. Through her work in physical therapy, I have utilized treatment techniques such as myofascial release, joint mobilization, kinesiology taping, manual therapy and therapeutic yoga integrated with traditional modalities. Chrys designed a unique practice called RollEasana Yoga which is designed to help patients access self myofascial release integrated with yoga asana. This practice promotes self care through pranayama, asana and deep tissue release for those suffering from a variety of musculoskeletal conditions. For additional information on her practice and educational offerings, visit www.fityogatherapy.com. Leigh Leibel is a medical journalist and yoga therapist specializing in adult oncology and cancer prevention. She has a clinical practice in mind-body medicine at New York Presbyterian / Columbia University Medical Center's Herbert Irving Comprehensive Medical Center in New York City, and is a 2018 candidate for the Master of Science degree in Yoga Therapy from S-Vyasa University in Bangalore, India. A writer and researcher, she was the founding executive producer of CNN Accent Health Network. Suzanne holds a Master of Science degree in Yoga Therapy from the Maryland University of Integrative Health; she is a certified yoga therapist through the International Association of Yoga Therapists; an E-RYT500 and YACEP with Yoga Alliance; and is the author of the book "An Imperfect Pilgrim: Trauma and Healing on This Side of the Rainbow". She is a frequent conference presenter and have a private practice working with people who suffer with mental health issues. Biz is the founder of Nava Yoga Center in Philadelphia, PA. This center is an integrated part of the Vincera Institute, a pioneer in core muscle, orthopedics, sports medicine and pain management. Yoga therapy is a key component of programs related to both acute injury recovery and long-term wellness. Biz has taught in the Yoga Therapy Masters of Science program at the Maryland University of Integrative Health and is currently developing yoga therapy CME courses for Thomas Jefferson University. Before becoming a full time yoga professional, she worked in various healthcare related finance and business development jobs. For at least a decade, Suzanne Manafort has worked with veterans who suffer with PTS. This work led her to study and learn the practical aspects of what benefits Veterans in a yoga program receive. Her experiences along the way have taught her that teachers require additional training tailored to the specific needs of Veterans. Suzanne co-authored a book, the Mindful Yoga Threapy Practice Guide. She also produced two CDs--Yoga Nidra by Suzanne Manafort, and "Breathe In Breathe Out", a group of short breathing practices designed for Veterans with PTS. She is on the Board of Directors of the Give Back Yoga Foundation. In 2009, she was designated a Wells Fargo Second Half Champion for her work with Veterans. Lisa has taught yoga for over 20 years. She is on the Kinesiology faculty at Bucks County Community College and teaches yoga classes, meditation and workshops at several studios in the Philadelphia area. Her private yoga therapy practice in Doylestown serves greater Bucks County. Her clients include athletes, those recovering from injury, living with emotional and physical discomfort and chronic conditions like Parkinson’s, MS and scoliosis. Molly McManus is co-owner of Yoga North International SomaYoga Institute, Accreditation Committee Member for the International Association of Yoga Therapists and holds certifications as a Yoga Therapist, Somatic Educator, Ayurvedic Health Counselor. She is one of the founders of SomaYoga Methodology, enjoys leading specialized workshops, trainings and as her role developing and delivering curriculum as faculty for the Yoga North ISYI, one of only 26 schools in the world that certifies yoga therapists. Molly is speaker and trainer sought out for her special areas of interest in the resolution of chronic pain and creating systems for whole-being well-being. She has designed programs such as Nourish Ayurveda – Feeding the Whole Person, SomaYoga for Chronic Pain, Making a Change for Good – 30 Days to Compassionate Self Discipline, The Chemistry of Joy, and Yoga for Stress, Anxiety and Depression. Molly is dedicated to her mission of contributing to the development of Yoga Therapy a reputable and accessible modality for whole-being wellbeing. Ann Maxwell, owner of Yoga North studio since December 2001, holds a masters degree as well as certification in Hatha Yoga, yoga therapy and is one of the founders of SomaYoga Methodology. Ann delights in supporting people to find a kinder, more compassionate practice of yoga on and off the mat. She also gets great satisfaction in being on the faculty at Yoga North ISYI. She enjoys watching people find their niche, grow their skills and become great yoga teachers and therapists. Some of Ann's favorite work is "shadow work" and peeling back the layers of fear and immobilization that keep us all from the joy and freedom that is possible in our lives. Ann brings the spirit of adventure and curiosity to her expertise as a yoga instructor and business owner, grounding her ability in the practicality and expertise of the body. Ann is a model of yogic living for her students and brings a sense of wisdom and fun to the daily practice of yoga. Allie has been practicing yoga and meditation for over 45 years. After a diverse business career leading innovative start-ups in New York City, she committed her life to energy healing practices. She traveled the world leading leadership training in wilderness retreats, was deployed as a mental health first responder after 9/11 while working in a psychiatric crisis unit. After working in government, she designed and implemented an innovative community Person-Centered Recovery Program including yoga and expressive arts. Recipient of a grant from Kripalu to seed a yoga initiative at this community mental health agency, she consulted to the emerging Institute for Extraordinary Living at Kripalu. Invited by the Office of Mental Health in New York State, Allie taught evidenced based yoga and advanced embodiment practices. She coaches and teaches Theory U and Social Presencing Theatre globally, serves as yoga therapy training faculty at IAYT member schools. Lieutenant Colonel Shaye Molendyke is a 25 year veteran, military spouse and mother to two fun, witty and exhaustible children. She recently attained her C-IAYT accreditation and is the Creator and Director of the Yogafit for Warriors and Warrior Kids Programs. These trauma-informed yoga programs are designed to help and empower anyone struggling with PTSD or with unresolved physical and emotional trauma to include Veterans, their families, first responders and those who help and love them. Shaye has been teaching since 2003 and practicing since 1998 with more than 5,000 teaching hours she is recently discovering the power of narrative as the most effective healing tool for yoga teachers to develop. Shaye loves to combine stories with the latest discoveries in quantum physics, neuroscience and epigenetics to empower yoga teachers to better articulate how yoga works to ease suffering and to bring more people to the banquet table of healing that yoga practices have the potential to offer. Maria Sorbara Mora is Co-Founder and Director of Nutrition and Yoga Services at Aurora Behavioral Health, a yoga-based eating disorder treatment center in New York City. In addition she is the founder of Integrated Eating, PLLC maintaining an extensive practice, including nutrition and yoga therapy services. Among Maria's certifications as a Registered Dietitian (R.D.) and Certified Eating Disorder Registered Dietitian (CEDRD), she holds certifications as a Certified Yoga Therapist (C-IAYT), a 200 hour YA Registered Yoga Teacher and has received intensive training from Phoenix Rising Yoga Therapy School. Maria has showcased her work at SYTAR 2014 CIC for mental health and has led yoga classes at prominent conferences including The Renfrew Center Foundation Conference and The IAEDP (International Association for Eating Disorder Professionals) Symposium. She has written for the International Journal of Eating Disorders, International Journal of Phoenix Rising Yoga Therapy and for Making Connections, The National Eating Disorders Association Publication. She most recently contributed a chapter ‘Yamas and Niyams on the Journey to Recovery From Eating Disorders’ in Yoga For Eating Disorders-Ancient Healing for Modern Illness by Carolyn Costin and Joe Kelly. Madoka is currently International Coordinator for the Japan Yoga Therapy Society (JYTS). She was raised and educated in both Japan and the United States, and completed her MA in International Public Policy with a focus on international human rights law in 1997. She began meditation in 1996 and yoga in 2003, studying several modern styles of yoga as well as traditional Raja Yoga under JYTS President Keishin Kimura. She was certified as a yoga therapist by JYTS in 2010. She taught yoga and meditation for about 11 years at yoga studios in Tokyo and offered private yoga therapy sessions. Since 2017, her work has focused primarily on international networking and building JYTS’s relationships with yoga therapy organizations around the world. Maryam Ovissi believes, "Yoga is the most powerful system that gives power back to the individual to find their freedom, moving peaceful from the inside with awareness and consciousness!” She is the founder of Beloved Yoga and in January 2018 they opened a magnificent 6000 sq. ft yoga studio in Reston, VA, where the teachings of Yoga are shared with reverence and accessibility for all. Maryam Ovissi's teachers carry the Sri Krishnamacharya teachings, A.G. Mohan, Indra Mohan and Ganesh Mohan. “Transforming Trauma into Teachers" is one of the greatest secrets for discovering peace and happiness in this life. Yoga is one of the most effective tools to support this transformation. Maryam has co-developed the Befriending Therapeutic Yoga Program at Beloved Yoga. Maryam has been sharing the teachings and methodology of Yoga in group and one-on-one settings with clients for over 15 years. Working with a range of clients and a variety of conditions: lower back pain, hip and knee replacements, spinal fusions, invasive surgeries, traumatic physical injuries, chronic conditions, emotional stress and mental imbalances from cognitive to stress induced confusion. Maryam’s specialities in Trauma lays in her experience with medical trauma: Invasive surgeries, Cancer and all the layers of treatment around Cancer, as well as complex medical conditions that creates “Medical Trauma”. Anne has a masters degree in Kinesiology (Sports Psychology) and has been tseaching mindful movement and yoga for 35 years. She is a Certified Yoga Therapist (C-IAYT) and Care Coordinator at the Ottawa Integrative Cancer Centre and the co-Director of the School of Embodied Yoga Therapy. Anne created the school and Yoga Therapists over 800+hr program. Daily she works to bring the scope of Yoga Therapy to people who are currently in cancer treatment as well as those long past their treatment. She develops and facilitate programs for those who face cancer at the OICC that include The Deep Bow; accompanying people who are facing cancer, Head Start; a holistic program for those newly diagnosed with breast cancer, Working with Anxiety; a normal side effect of a cancer diagnosis, and It Won’t Kill You to Talk About Death, turning toward death to live life well. Anne has popular audio practices available: 7 Short Practices: A Gentle Companion for Yoga Home Practice and Into the Body, a fundraiser for the Ottawa Integrative Cancer Centre. Shelly is a Canadian Physical Therapist and Professional Yoga Therapist dedicated to empowering and educating individuals to create and sustain optimal health by teaching, promoting and advocating for the integration of yoga therapy into modern healthcare. She is a respected pioneer of PhysioYoga, a combination of physical therapy and yoga therapy. Shelly guest lectures at medical colleges, teaches in numerous yoga therapy programs, speaks internationally at conferences, offers onsite and online continuing education courses for healthcare professionals, yoga therapists and yoga teachers, and offers workshops and individual sessions for those suffering from a wide variety of conditions, including pelvic floor dysfunctions and persistent pain. Shelly has a wide variety of extensive formal and informal training and over 20 years of experience of integrating yoga into healthcare and considers herself a lifelong student, truth seeker and change maker. Please visit www.physioyoga.ca for more information. Known as ‘”the queen of alignment,” Lillah shares the wisdom of 30+ years studying with yoga experts like BKS Iyengar, Aadil Palkhivala, Eric Small, and Matthew Sanford with students across the US to guide them toward back pain relief. Lillah ran her own studio in Asheville, NC, from 1981-2013. Based on her personal experience with back pain, she became a trailblazer in the therapeutic application of yoga. Along with decades of teaching yoga back care classes and training teachers, Lillah has a background in massage and cranial-sacral therapy, and extensive training in functional anatomy and physiology. Through her three endorsed and nationally distributed therapeutic yoga DVDs and her 2016 book, Healing Our Backs with Yoga, Lillah offers the science and spirit of yoga to thousands who have become pain-free from her alignment-based, heartfelt instruction. Luz Shanti, BS, MS, YT, RYT is a Yoga Teacher (CYT-1000) and Yoga Therapist with over 25 years of experience in biological sciences, yoga studies, sound healing and quantum physics. She uses her scientific education and knowledge of Classical Yoga Therapy to identify the root causes of disease and to deliver a holistic yogic approach to health and healing. Her method focuses on improving the mental, emotional, physical, and spiritual well-being of her clients. Through Yoga Siddha techniques of meditation and yogic knowledge, she teaches the path to human evolution. Luz passion is yoga and the energetically sensitive child (autism spectrum disorders), she uses Yoga Therapy to teach caregivers a new understanding of their child; creating hope and healing instead of frustration and struggle. Beth is a yoga therapist, teacher, and published writer on yoga related subjects. A frequent contributor to YogaInternational.com, she has offered yoga therapy in hospitals, clinics, and schools and has been on staff as a yoga therapist at the Himalayan Institute, Omega Institute, and in centers for addiction and recovery and teaches frequently at Sivananda Ashrams. She has taught yoga and meditation since the 1970s and was a resident in Eknath Easwaran’s ashram. Since then she has studied with senior teachers of the Iyengar and Desikachar lineages. Tantra via the Himalayan tradition, ParaYoga, Yin, Phoenix Rising, and Anusara principles. She was the education director of a teacher training program, as well as the executive director of the nonprofit yoga education center. Her work includes employment as a medical yoga therapist and holistic liaison at a major medical facility where she lectured interdepartmentally on stress management and yoga therapy. Leila has been a dedicated student of yoga for over 40 years, teaching since 1993. Her passion for anatomy, and background as a massage therapist specializing in structural alignment and movement repatterning, led her to open a dedicated Yoga Therapy studio near Vancouver, BC in 1999. Drawing on her clinical experience, and skill in teaching experiential anatomy as a doorway to the koshas, she created and taught a Yoga Therapy training for 15 years. As a teacher, her intention is to create the conditions for students to access somatic experience of anatomical structures, body systems and developmental movement patterns. By developing a felt sense of their “living” anatomy and inherent body wisdom, students can apply this intelligence to their own healing process. By practising yoga in this transformational way, the physical body becomes a doorway to the deepest self, and the philosophical teachings of yoga can become a daily lived experience. Leila has recently co-authored “Pathways to a Centered Body, Gentle Yoga Therapy for Core Stability, Healing Back Pain and Moving with Ease”, with Donna Farhi and has been teaching internationally since 2014. Marlysa Sullivan is an Assistant Professor at Maryland University of Integrative Health (MUIH) where she teaches in the integrative health sciences and yoga therapy departments. At Emory University Marlysa teaches a semester long elective on yoga and mindfulness for physical therapy in the Doctor of Physical Therapy program. She leads teacher trainings with the Center for Integrative Yoga Studies. She is also on faculty at Omega Institute and teaches at Kripalu. Marlysa has been an active member of the International Association of Yoga Therapists where she served on the educational standards committee. Her research involves working with dementia, osteoarthritis and pain and she has recently published a paper discussing the explanatory framework of yoga therapy based on philosophical and ethical perspectives. Dr. Taylor has 35 years as a leader in integrative rehabilitation and is the editor of the graduate textbook, "Fostering Creativity In Rehabilitation”. His doctorate focused on creativity through the lens of integral yoga philosophy at the California Institute of Integral Studies. He is past president of the board of directors of IAYT, chair of the CIC’s, and teaches nationally on business development for Yoga therapists and consulting with health professionals interested in utilizing yoga therapy. Felicia is a Certified Ayurvedic Practitioner, Registered Nurse, Yoga Therapist, and Yoga Teacher with more than 25 years of experience teaching and in private practice. In her work, she combines an understanding of Eastern and Western approaches to health and healing. She is the editor in chief of LA YOGA Ayurveda and Health Magazine and President of Bliss Network, LLC. As part of her community service and commitment to professionalism, Felicia served for nine years on the board of directors for the National Ayurvedic Medical Association, is the past President of the California Association of Ayurvedic Medicine and is a former board member of the Academic Consortium of Complementary and Alternative Health Care where she represented Yoga Therapy and Ayurveda. She has spoken at conferences for the National Ayurvedic Medical Association, the International Association of Yoga Therapists, and Yoga Alliance. In addition, Felicia is on the Yoga Therapy RX faculty at Loyola Marymount University where she lectures in various programs. She teaches at events and conferences and in teacher training programs worldwide. Felicia maintains a private practice in Los Angeles. Amy has been a Professor of Kinesiology at California State University, San Bernardino Since 1998. Amy's degrees include a B.A. and M.A. in Health Promotion and a Ph.D. in Education and Psychology. She develops and conducts research studies in the fields of Yoga, Yoga Therapy, health and Psychology. In addition to her work with IAYT, she has helped to set the curriculum standards for Ayurvedic Yoga Therapy for the National Ayurvedic Medical Association. She is the Director of The Optimal State of Living, which provides Yoga & Yoga Therapy Training Programs. Over the last 25 years, she has been a Yoga Teacher & Sport Psychology Consultant to many health professionals & elite-level athletes, including the Los Angeles Lakers, various Professional Athletic Teams and five U.S. Olympic/National Teams. Prasann Salkar, from Goa, India, has played tabla since early childhood. At age 11, he was asked to play for Prime Minister, Indira Gandhi. He is recognized as a tabla genius. Prasann performs and teaches tabla full time.